Biodiverse Tobago is a diver’s paradise, offering an incredible range of stunning underwater sites that belie the island’s small size. While it may not be the best known location, the dive sites here are truly world-class, and virtually unparalleled in terms of species diversity. Dive facilities have improved by leaps and bounds in recent years and are now on a par with any other Caribbean destination, meaning even more opportunities are opening up for visitors to experience Tobago’s magical underwater world. 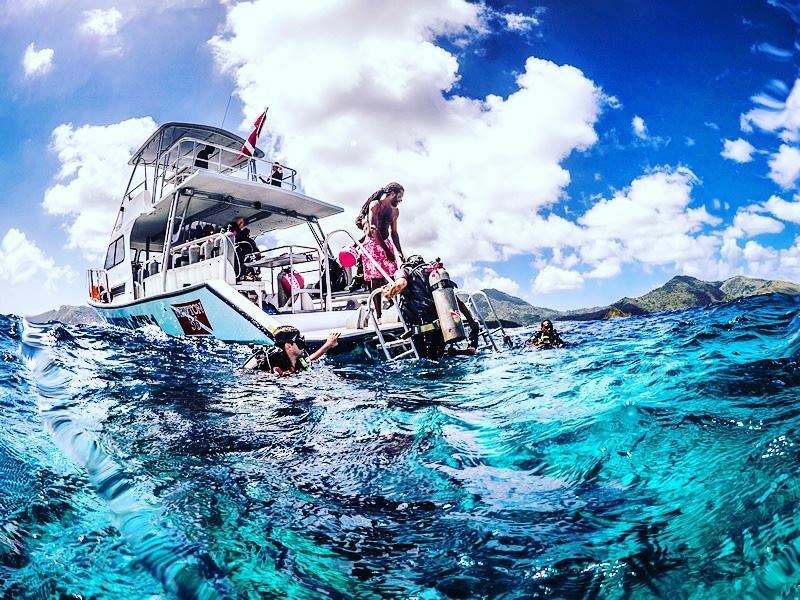 Plunge into the island’s diving scene and you’ll discover huge healthy coral reefs, a spectacular array of marine life (numbering over 300 species, including many pelagics) and some of the most thrilling drift dives on the planet. Tobago’s location, just to the north of Venezuela and the mouth of the Orinoco River, means it’s fed year round by the nutrient-rich Guyana current which provides sustenance for the reefs and attracts an abundance of life to the area. Divers can expect to find thriving populations of schooling fish, a multitude of smaller species such as moray eels, lobsters and sea horses, as well as big star attractions like barracudas, tarpons, turtles, nurse sharks and rays. Tobago has enough diversity to satisfy every taste and suit all levels of experience. The combination of Atlantic and Caribbean waters, the mixing of currents, and the varied underwater topography - from rock formations to long sloping reefs, sunken ships to sheer submarine cliffs - mean highly contrasting experiences can be had within a relatively small area. Shallow waters and easily accessible coral reefs, as in Buccoo, provide the perfect environment for snorkellers. The gentle currents and effortless flow of drift diving make Tobago well-suited for novice divers, whilst the more experienced will also find more than enough challenge and interest. Tobago boasts an impressive number of dive sites for such a tiny island, with more than 50 well-established spots. To help you narrow down the options, we’ve outlined the 3 main geographic areas for diving on the island and profiled some of the very best sites at each one. Whether you head for the crystal clear seas of Speyside, the Atlantic drifts off the southern coast, or the calmer Caribbean waters to the north, you’re bound to have an unforgettable experience. Buffeted by Atlantic currents, the Speyside area on the island’s north-eastern edge is the place to experience the best of Tobago’s famous drift diving. Here, currents propel you effortlessly along the rich sloping reefs that surround the area’s offshore islands. Speyside offers divers the best visibility in Tobago. It’s home to the island’s most impressive coral, as well as offering the best chances of spotting hawksbill turtles, nurse sharks and even the elusive manta rays. Boasting over 20 dive sites, here are the top Speyside locations you won’t want to miss. 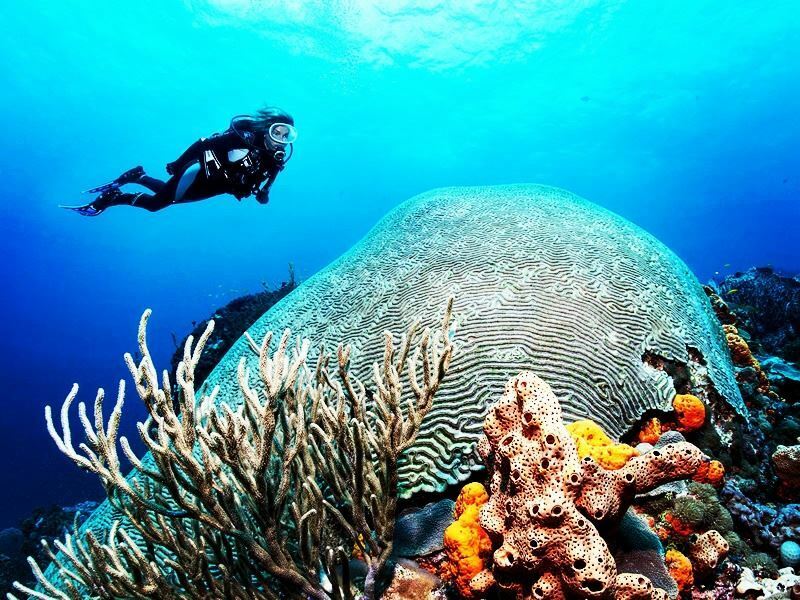 In this drift dive site off Little Tobago you’ll witness what’s said to be the largest brain coral in the world, measuring a whopping 15 feet in diameter. Kelleston Drain features swaying sea fans, sea whips, gorgonians and small feather black coral in abundance, as well as numerous species of hard coral and multi-coloured sponges. You’ll also have a good chance of spotting nurse sharks and barracuda in amongst the coral, and if you’re lucky a pair of majestic manta rays. 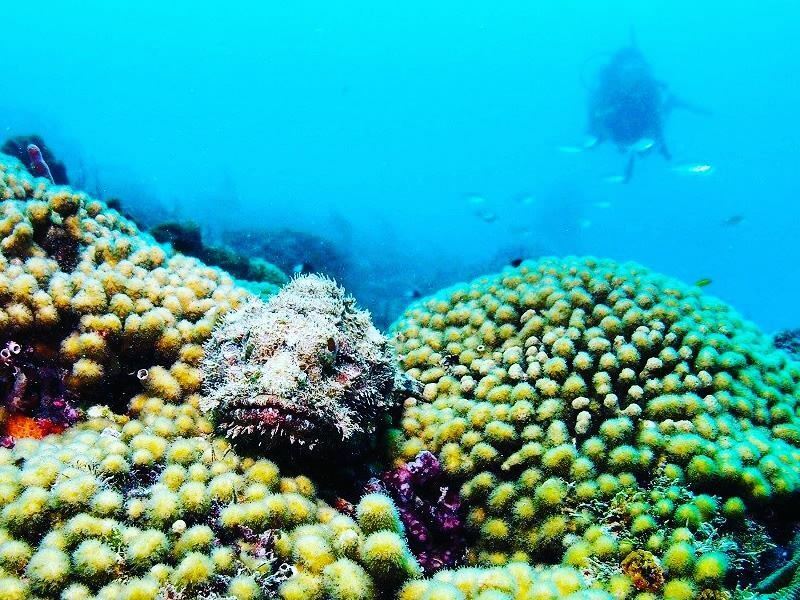 Situated on the fringes of Goat Island, this is a breathtaking dive site filled with an exquisite range of colourful coral, and suitable for all levels of experience. You’ll descend along a steep slope covered in a dense bed of multi-coloured tube, rope and vase sponges that resembles a miniature Japanese garden. The reef then drops suddenly into the Kamakazee Cut, a passage full of yet more brightly coloured coral, as well as being home to large schools of Jacks and nurse sharks. This spectacular spot just south of the main Speyside area gets its name from the two large vertical slabs of rock that poke just above the water and form an impressive natural amphitheatre. The current can be choppy at times, so descent is dependent on favourable conditions and generally needs to be quick, making this dive best for intermediates and above. Divers will be treated to close encounters with gigantic tarpon, nurse sharks, blacktip sharks and numerous shoals of fish, all set against a rich backdrop of coral, sponges and sea fans. Whilst each of Tobago’s diving areas offer a great deal of diversity and suitability for every level, the Caribbean coast typically offers the best conditions for novices. This is an area with plentiful relaxed dive sites that offer the perfect introduction to the sport. Here are the ones not to be missed. This area is home to several superb dive sites, the most renowned of which centres around the rock outcrop that divides Mount Irvine and Stone Haven bays. The shallow “wall” is encrusted with numerous corals and features crevices and ledges that house a plethora of smaller marine creatures including moray eels, crabs, fire clams and seahorses. Mount Irvine extension is a deeper dive that follows outcropping rocks towards a large coral reef home to tarpon, the spotted eagle ray and hawksbill turtles. 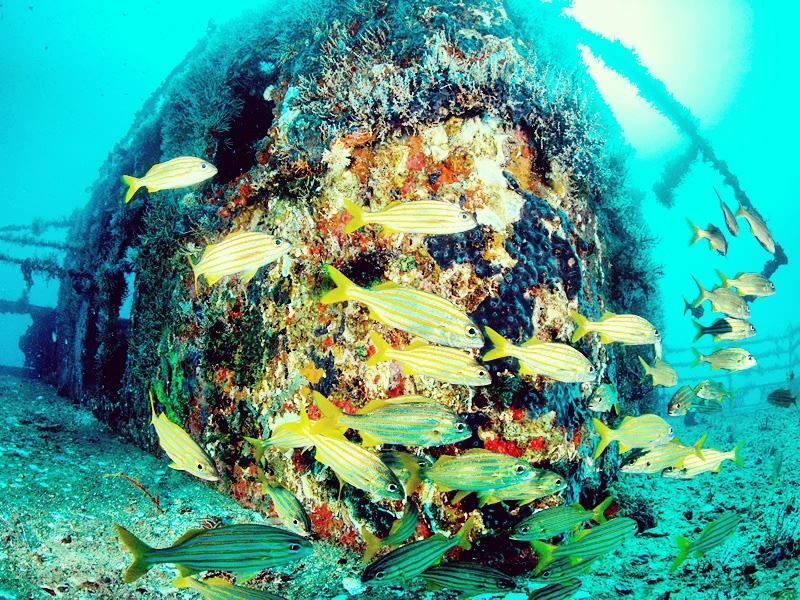 The calmer conditions of the Caribbean coastline make this area ideal for wreck dives. Not far from Mount Irvine lie the remains of an old passenger ferry which was sunk especially for diving in 1997 and which has now transformed into a thriving ecosystem teeming with marine life. The wreck is shallow, its interior easily accessible, and it provides a fantastic experience for novices and the more experienced alike. You’ll witness some spectacular coral growth and numerous schools of swirling fish, as well as barracuda, crabs, lobsters and moray eels lurking amongst the ship’s remnants. Further up Tobago’s northern coast lie the islands of the Sisters, which offer several dive sites centred around a collection of unique underwater rock formations. The Sisters are situated 1.5 miles offshore and the dive sites extend to a depth of 140 feet, providing divers the chance to swim with some of the larger pelagic species. These include large schools of hammerhead sharks which tend to congregate in the area between October and May. Large boulders on the sea floor also provide shelter for turtles, lobsters, Moray eels and an abundance of tropical fish. 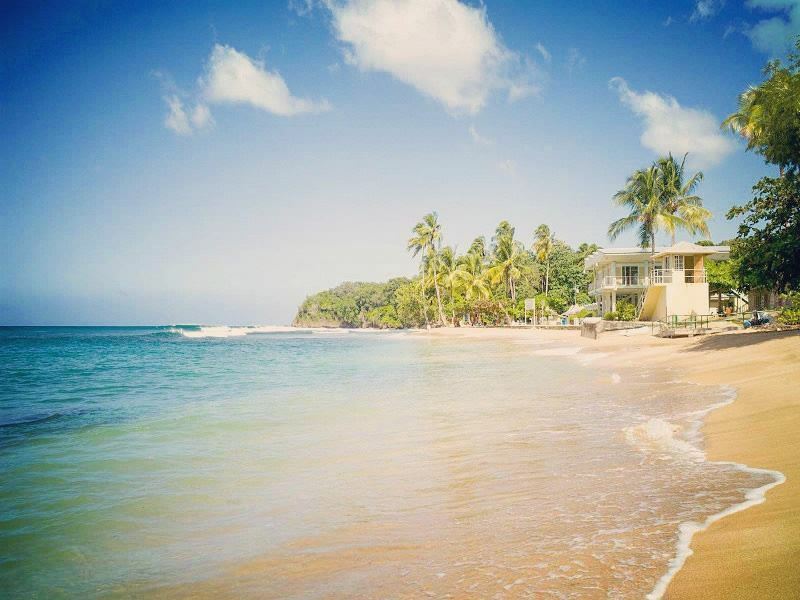 The Crown Point area on Tobago’s south coast offers more than 20 dive sites in close proximity to some of the island’s most popular beaches and hotels. Being on the Atlantic side means this is an area renowned for its many thrilling drift dives, with evocative names such as Flying Reef and Diver’s Dream. 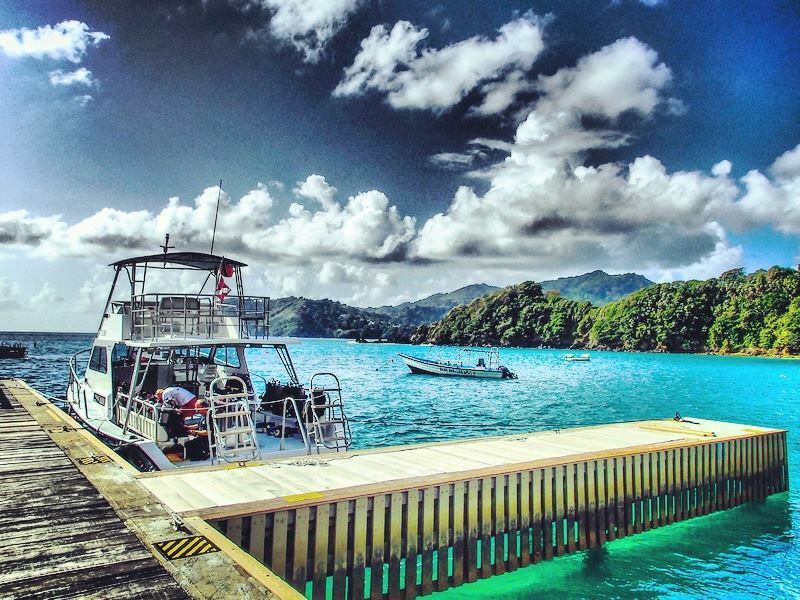 This popular dive spot is reached via a short boat ride from the Crown Point beaches. Whilst the current is usually gentle, it can sometimes be variable and lead to a higher speed drift dive over the long shallow reef. Nevertheless, Flying Reef offers the perfect introduction to drift diving and is particularly recommended for beginners. The fish density is especially impressive at this site, so be on the lookout for bigeye and glasseye snapper, French angelfish, parrotfish and porcupine fish darting amongst the soft coral and huge sponges. Nurse and blacktip sharks, stingrays and barracuda are also common sights. Just south of Columbus Point, Cove is an advanced-level dive site with a steep gradient and some pretty strong currents. It boasts an astonishing array of beautiful coral reefs, where you’ll find sea fans, sea rods, brain coral and fire coral. You’re also likely to spot parrotfish, groupers, creole wrasse and spiny lobsters, along with moray eels, sting rays and the occasional hawksbill turtle. 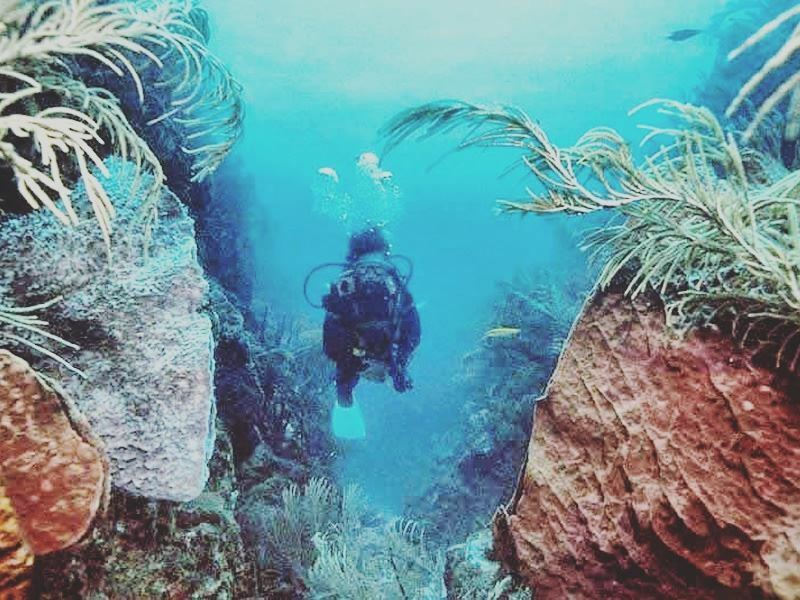 Cove crack is a worthwhile extension where divers can explore the interesting underwater topography and admire a diversity of creatures amongst the crevices and overhangs, including some of the larger pelagic species. Two miles beyond Crown Point, this site is generally only accessible to advanced divers due to the strong current and sometimes less than favourable conditions. However, as the name suggests, it certainly qualifies as one of Tobago’s most rewarding dive experiences. Divers descend as far down as 36 feet and will be met with the full range of marine life, from barracudas, rays, turtles and nurse sharks, to an incredible diversity of reef fish. A particularly interesting aspect of this site are the huge barrel sponges which have been sculpted into unusual shapes by the currents. Enjoying an unusually high diversity of species for a Caribbean island, Tobago is rightly renowned for its wildlife, making it the perfect destination for nature lovers. Beyond the array of marine life you’ll encounter through diving and snorkelling, there are also opportunities for whale watching just off the coast, with a good chance of spotting various migratory species including the sperm and humpback whales. Whilst many of Tobago’s most impressive creatures are to be found in the ocean, one species does occasionally venture onto the land: the magnificent ancient leatherback sea turtle. 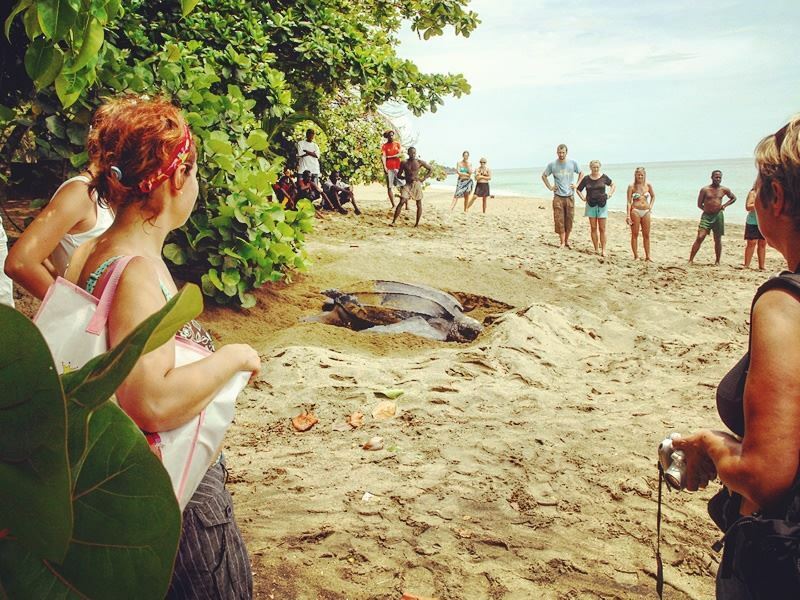 Turtle watching on Tobago’s beaches during the nesting season (March to June) is an experience not to be missed, offering a fascinating and moving insight into one of nature’s greatest spectacles.